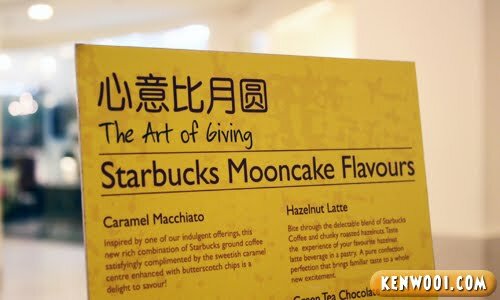 To be honest, I’ve never heard of mooncakes by Starbucks before – that’s until the day I was told that they exists. The Mid-Autumn Festival, or better known as the Mooncake Festival, is a yearly tradition celebration for the Chinese community. And again this year, Starbucks is providing a brand new level of excitemoon! Yes, it’s none other that the Starbucks Mooncakes, that comes with 4 different flavours. 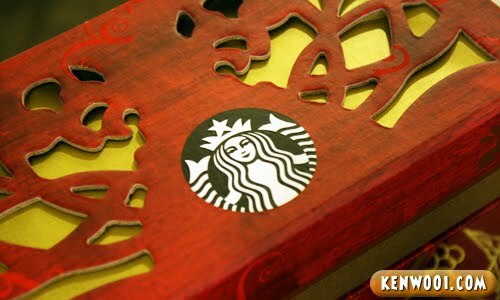 Each mooncake features Starbucks’ trademark logo of the twin-tailed siren. Well, they say that Starbucks has once again produced an interesting blend with twist of fusion Japanese and modern Western mooncakes. Let’s see what they have, shall we? First up, the Hazelnut Latte Mooncake. Its blend consists of Starbucks very own coffee and chunky hazelnuts. Quite nutty. Next, the Caramel Macchiato Mooncake. 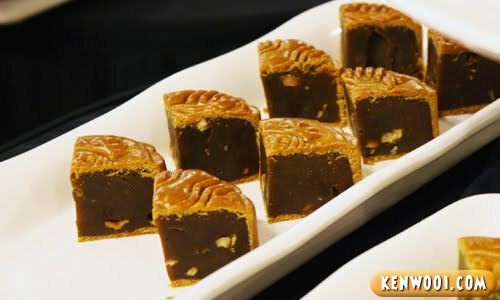 This mooncake gives coffee lovers a delectable savor that they’ll love. Prepared by a mixture of ground coffee with Swedish Caramel and Butterscotch Chips in the middle, it’s indulgence in every bite. 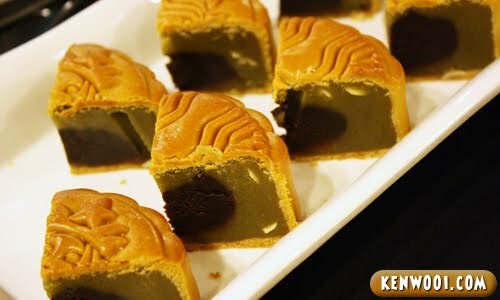 The Green Tea Chocolate Mooncake gives a healthier choice to satisfy your mooncake cravings. With a chocolate filling and an outer layer of Green Tea and lotus paste, this has got to be my favourite Starbucks mooncake! 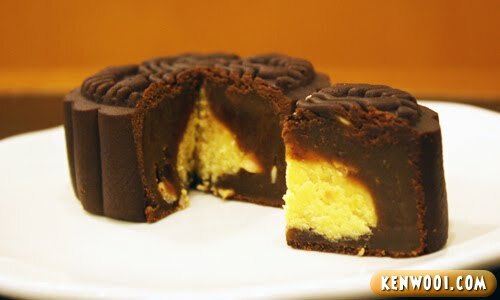 Last but not least, the Tiramisu Mooncake. Consists of Starbucks coffee and lotus paste plus cheese combined with mung beans in the middle, it’s another selection that everyone would enjoy. Well, these 4 mooncakes are presented in a traditional Die Cut Cardboard Box, certainly a unique gift for the one who receives it. At RM32.80, the Regular Package consists of 2 mooncakes flavours – Caramel Macchiato and Tiramisu. 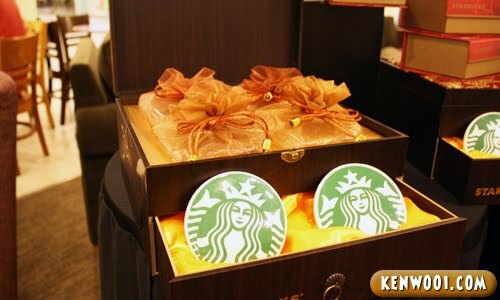 And at RM148.80, the Premium Package comes with all 4 flavours including exclusive Limited Edition Ceramic Starbucks Logo Coasters. It comes with a wooden-looking box that looks almost like a box where traditional Chinese people keep their jewelries. Each mooncake would be specially wrapped too. If you wanna find out more about the Starbucks Mooncakes, check out the Starbucks Malaysia official website. 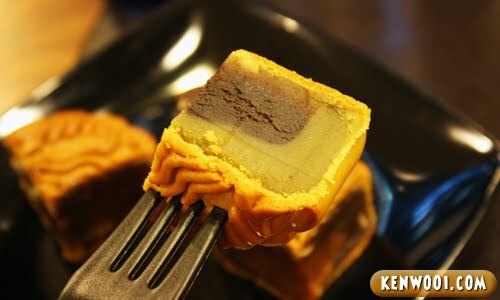 Overall, the mooncakes are uniquely Starbucks. They taste good, especially when accompanied with a Starbuck beverage. The crust is slightly chewy and tender while the fillings are typically coffee – well, except the Green Tea one. Yo Ken,pass me some of em.. ^_^.v.. I love this Starbucks Mooncakes and I bought a lot in year 2006. My mom ever asked to buy almost 10 boxes at KL and brought back to KK because my classmate is Starbucks staff and he has discount for this. My all time favourite will be Green Tea Chocolate mooncake. Mmmmmm… I really like this post! ah! Okay, must get someone to buy it for me! XD hahahahahahahax! Looks yummy! Wanna have some!! I think they came out with these last year. 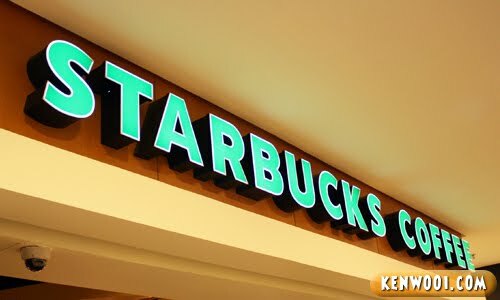 Somehow Starbucks and mooncakes don’t click… Two different worlds. tiramisu mooncake!! 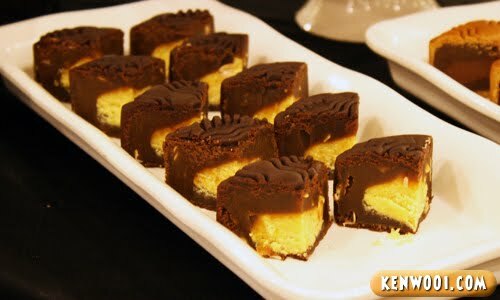 !…arrg….can i have this to break my fast this evening…hehehe….so yummmylah!! The Tiramisu mooncake looks yummy. Did you try them all? 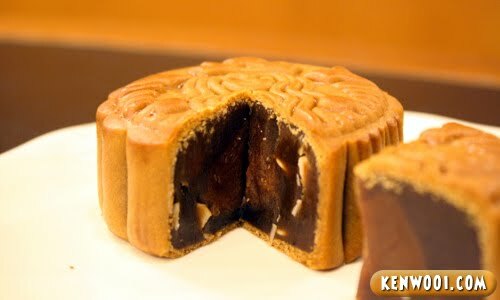 Wow… Kopi mooncake from starbucks, I will go and buy! 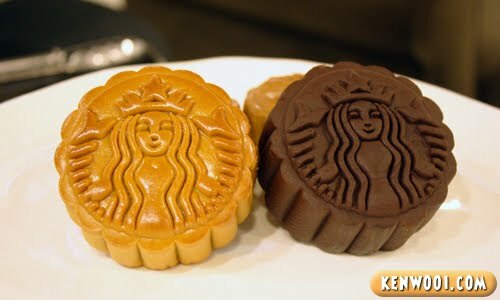 nice to see Starbucks getting into the mooncake mood. Damn! I haven’t eat already got moon face shape. I like the Starbucks logo on these mooncakes! I don’t think I will eat the mooncakes – will just keep till they rot haha! i always like their refined packaging, looks posh right?? while reading… i can feel the taste…….. on my taste buds……….